The longest process of forming a coalition in the entire post-war history of Germany came to an end. German President Frank-Walter Steinmeier confirmed Angela Merkel as Chancellor. The Bundestag, composed of 709 deputies, endorsed the candidature of Merkel 364 votes in favor. 315 parliamentarians voted "Against". This became a historic decision of the German parliament because the current term for Merkel will be the fourth. Merkel reigns since 2005. Prior to it, only the founder of the Federal Republic of Germany Conrad Adenauer and completing the process of German unification in 1990 Chancellor Helmut Kohl managed to rule for so long. The election of Merkel was the logical completion of the process of formation of the government coalition, which lasted after the autumn elections, which included CDU / CSU (33.8%) and the younger partner - SPD (23%). In his party, the Christian Democratic Union and the Die Union factions ("Union") Merkel is the most vivid politician and absolute leader, and it would be difficult to expect another candidate. At the same time, we must understand that the new term for Merkel is not recognition or high confidence in it, but rather as a "shield" that takes all criticism for the failures of migration policy. In the secret ballot in the Bundestag, Merkel's chancellorship did not support the 35 deputies who make up the "big coalition". According to the head of the SPD faction Andrea Nales, "against" voted much more deputies than she expected. One of the members of the "Alternative for Germany", the third party in the Bundestag, Peter Bystron published on Twitter the photo of the ballot in which he voted against the re-election of Merkel. The President of the Bundestag, Wolfgang Schaeuble (CDU), wrote a fine of one thousand euro for this trick. In addition, during the procedure for swearing in the stands, the banner "Merkel must leave" was deployed. Commenting on the results, the deputy leader of the Free Democratic Party (FDP), Wolfgang Kubiki, said that "the big coalition is in fact small." If you look at the results even wider, it can be seen that Merkel managed to get the Chancellor's chair with a margin of only 11 votes. That is, half of the Bundestag or half the population of Germany does not recognize her leadership, questioning the legitimacy of Merkel. Reading the solemn speech, Steinmeier hinted at the mistakes Merkel made on the third term, when Germany fell victim to the open door policy and took a million refugees. 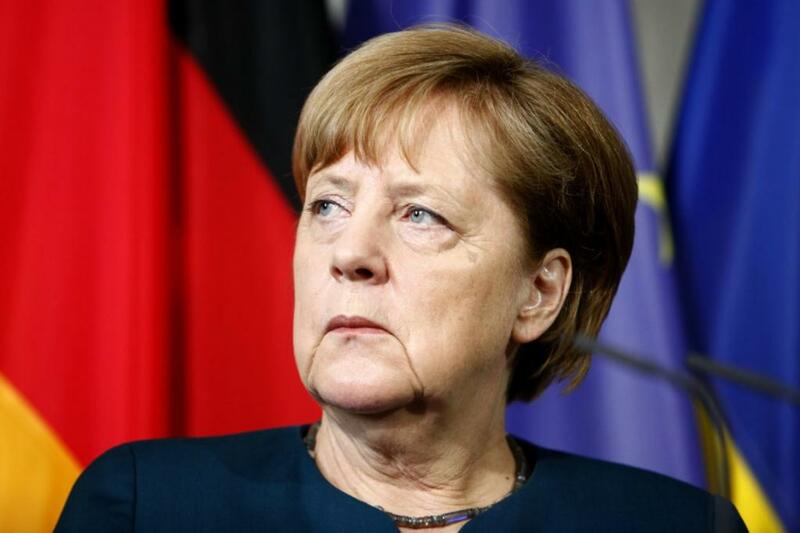 On March 12, Merkel made it clear that the priority of her government would be the integration of refugees and the deportation of illegal migrants. She also noted the need to ensure the security of the German borders and combat the consequences of migration. Whether it will be possible for the Chancellor to solve such large-scale problems for 3.5 years is a big question. The expert expects that the SPD will follow its course in order to restore the trust of the supporters. Except for the Bavarian CSU, which quite strongly criticized the Merkel migration course, the government has roughly the same balance: six ministers from the CDU and the same number from the SPD. The Social Democrats have secured such important portfolios as the Ministry of Foreign Affairs (which was headed by former Minister of Justice Heiko Maas) and the Finance Ministry. The head of the treasury appointed the mayor of Hamburg Olaf Scholz. Friction can arise regarding social spending. SPD traditionally supports their increase, and the CDU - a supporter of the economy and fiscal discipline, imposed on the whole of Europe, including Greece. Merkel's shift will also be facilitated by the rightists from AfG, who, as the main opposition party, will get every opportunity to bring Merkel to the surface and publicly criticize all of her moves. Until 2020, Merkel's cabinet will have to resolve not only internal political problems but also to accept external challenges. The United States, led by Donald Trump, launched a "trade war" against the EU. Relations with Turkey are deteriorating rapidly, and with Russia, there is still no breakthrough because of the irreconcilable course of Berlin on the Donbass and the Crimea.